Congratulations to Carol Byrne from Wicklow town who walked away from RTE with €60,000 on Saturday evening after appearing on Winning Streak. Looking stunning in a black party dress Carol was backed by friends and work mates, with her good luck toys in the form of a rabbit called Dolly and penguin Kayla. Matchfit Fitness in Wicklow town also got a plug on the popular show. 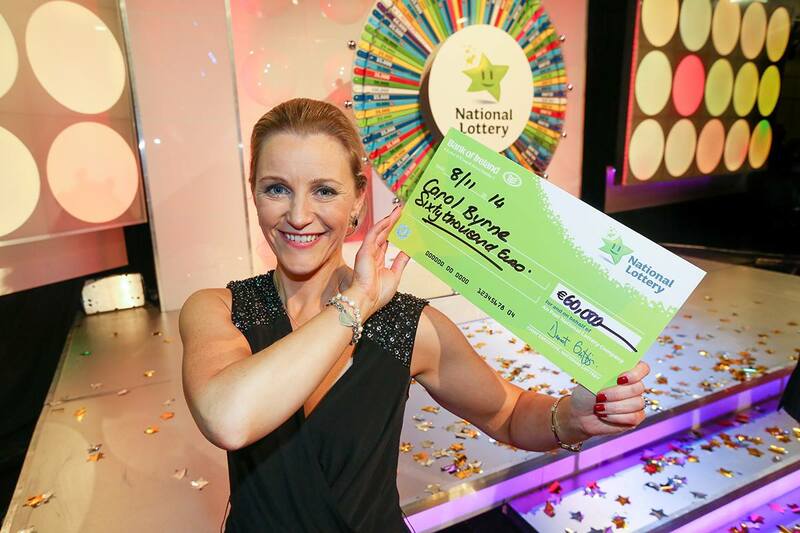 Carol walked up to the wheel with €30,000 and picked up another €30,000 after the spin. Judging by her love for New York city it looks like herself, Wanye and Amy could be off for a Christmas visit to the Big Apple.